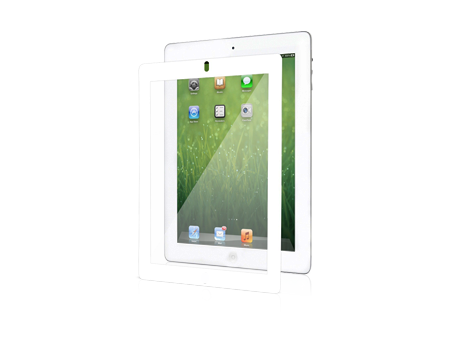 iVisor XT for iPad is specifically designed to protect your iPad's touch screen from scratches. iVisor XT for iPad is an advanced screen protector specifically re-designed to protect your iPad's gorgeous touch screen from scratches. Unlike other screen protectors that require tedious installation procedures and often result in unwanted air bubbles or hindered touch screen performance, Moshi's proprietary design and patented technology allows the iVisor to be installed in seconds without any air bubbles, making it the easiest screen protector to install on the market today. Further, its multi-layer construction enables unimpeded touch sensitivity while retaining clarity.